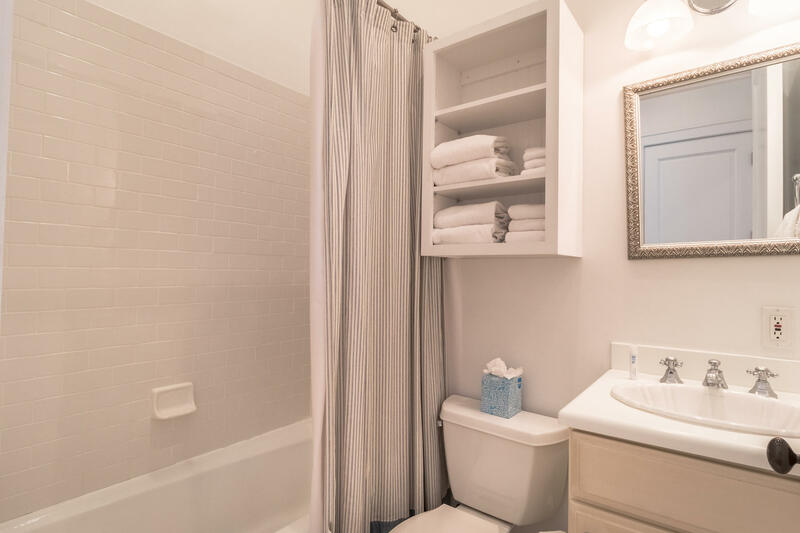 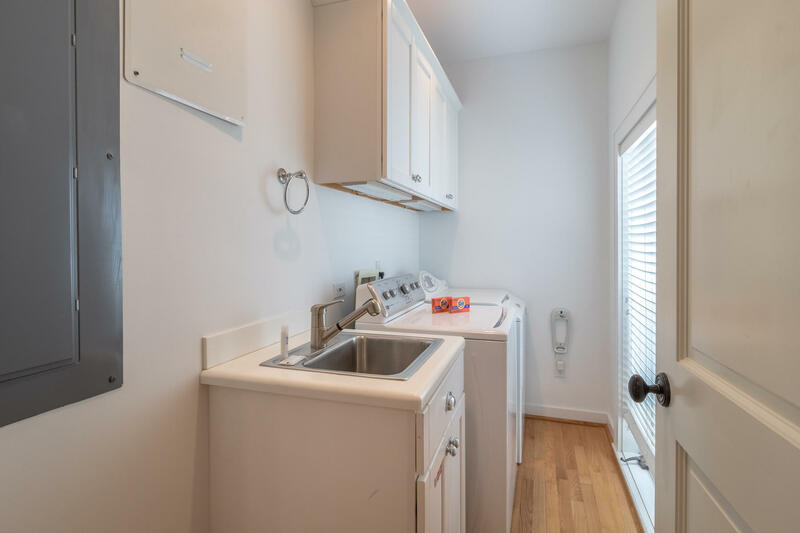 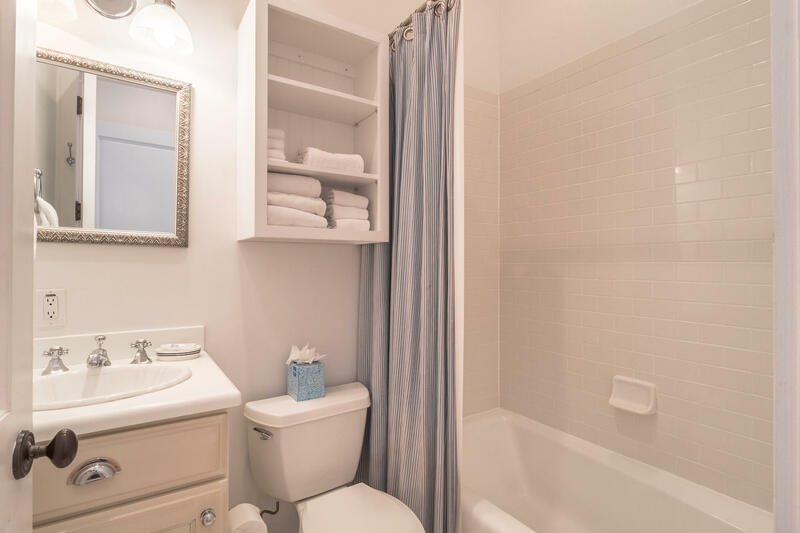 dryer and a utility sink provides a convenient place to put towels and swimsuits after a day at the beach. 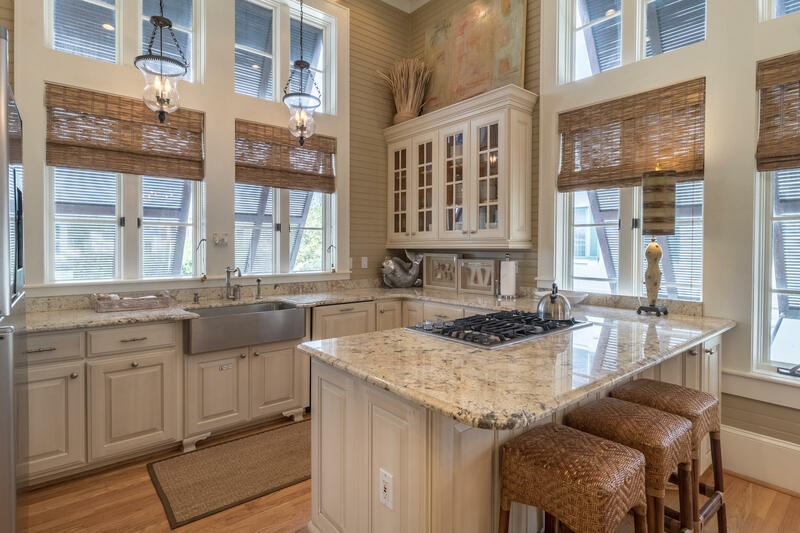 Upstairs, the gourmet kitchen includes sensible storage features including an appliance garage and a roomy pantry. 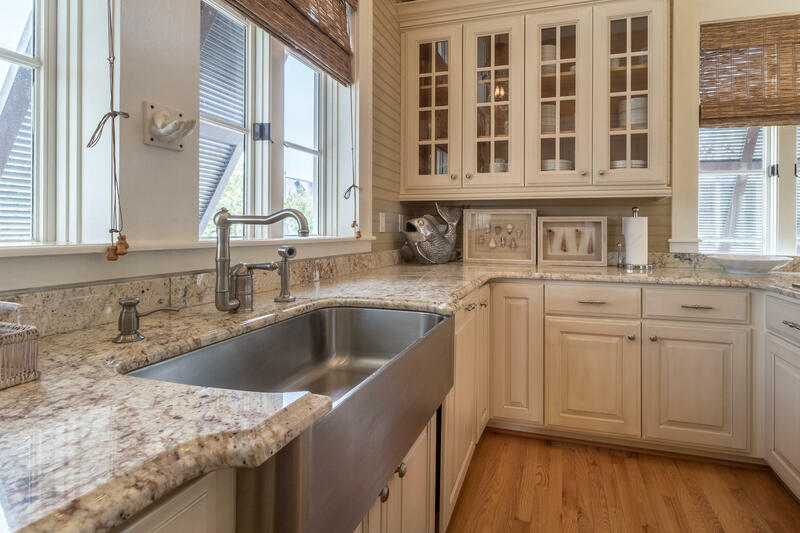 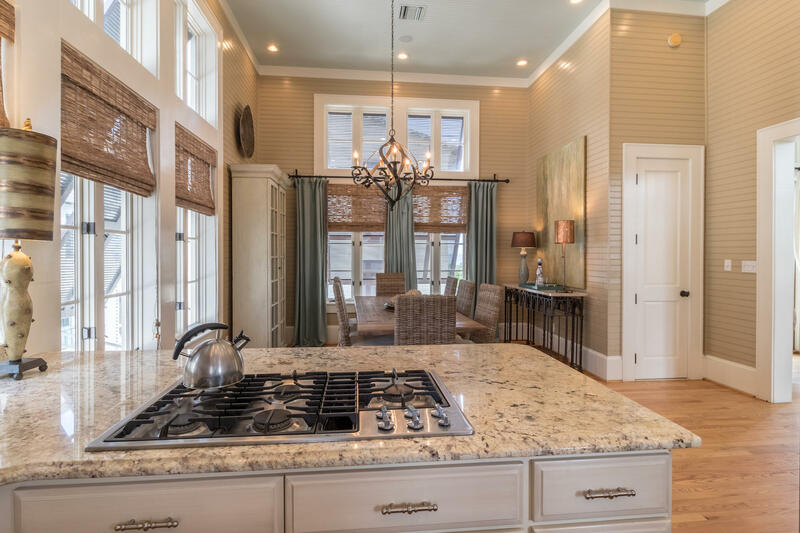 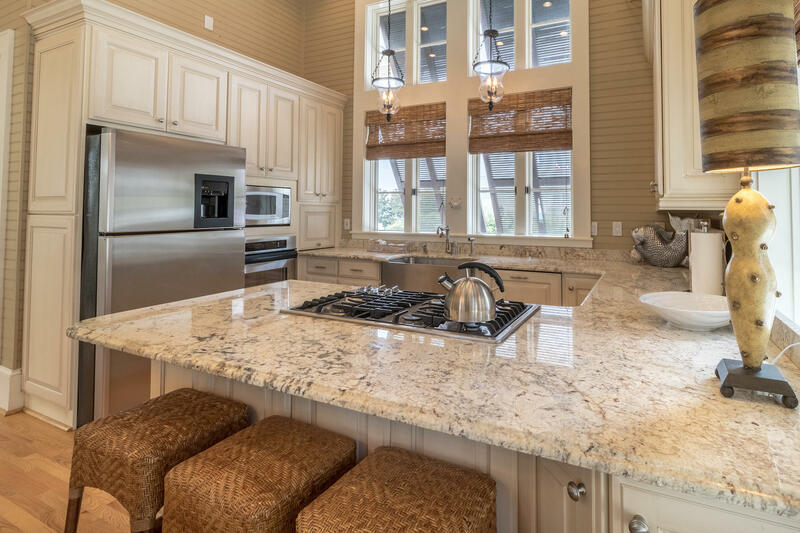 GE Profile appliances, Jenn-Air gas cook top and a stainless farmhouse sink are a few of the gourmet touches. 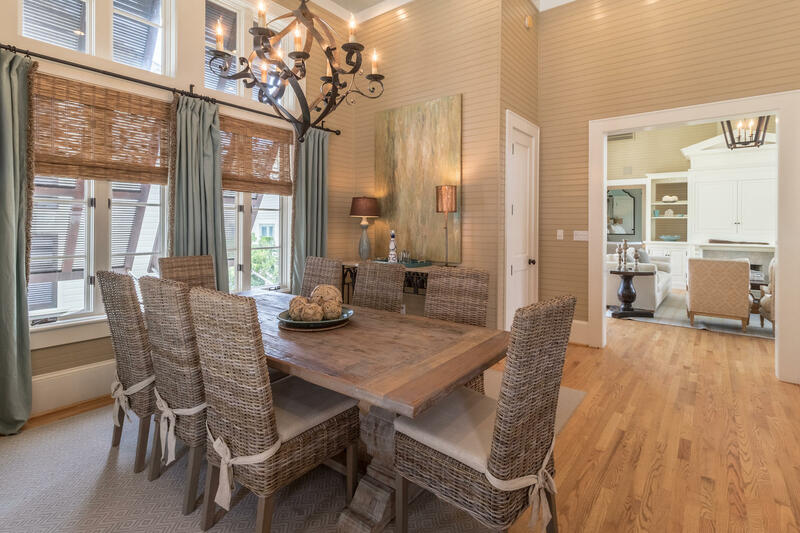 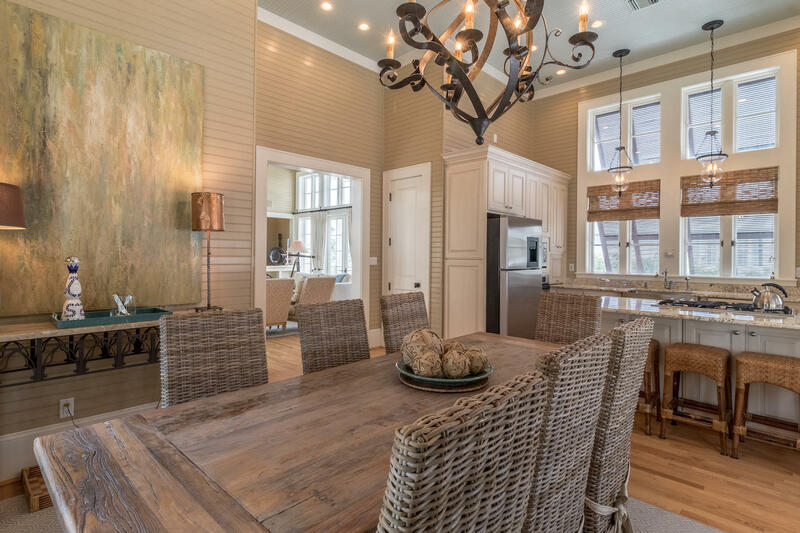 The kitchen opens into a comfortable, spacious dining area. 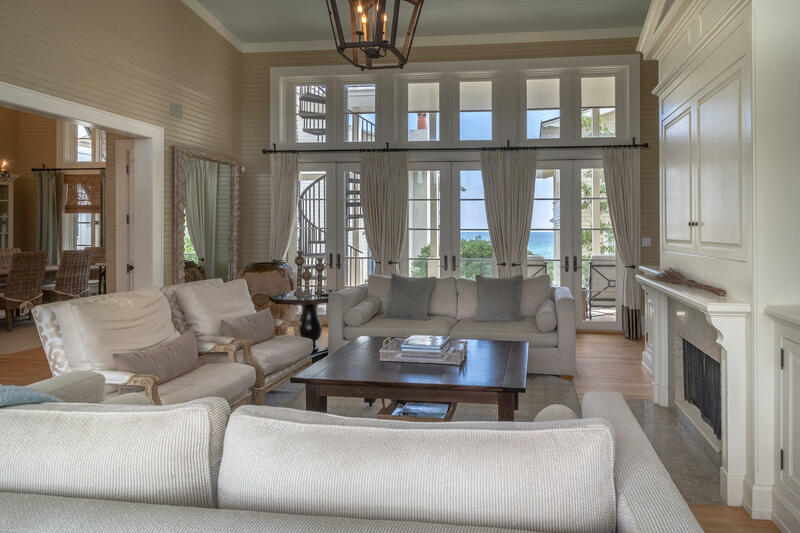 An elegant living room with walls of windows open to the Gulf of Mexico bring the glow of the rising and setting sun and the emerald waters of the sea into the heart of the home. 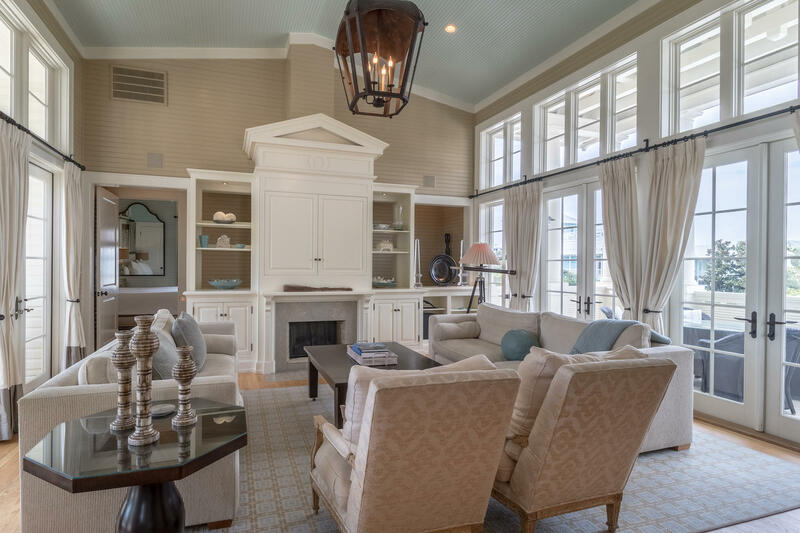 Custom built cabinetry surround a fireplace. 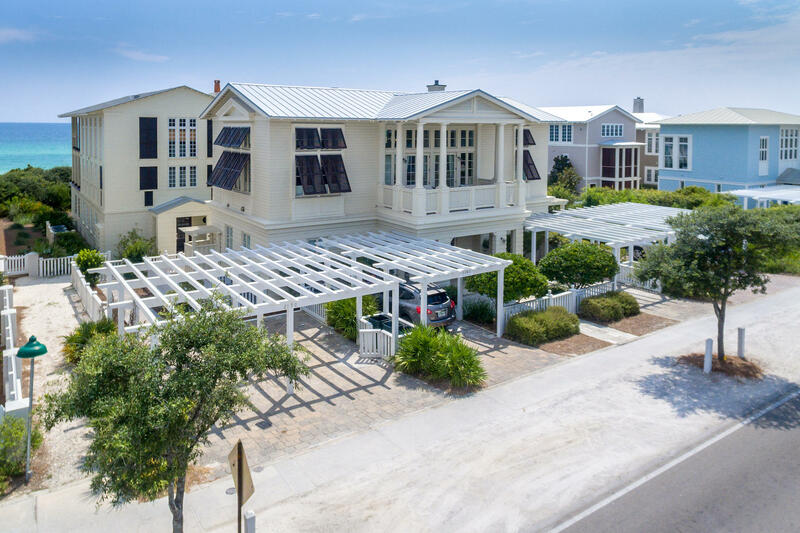 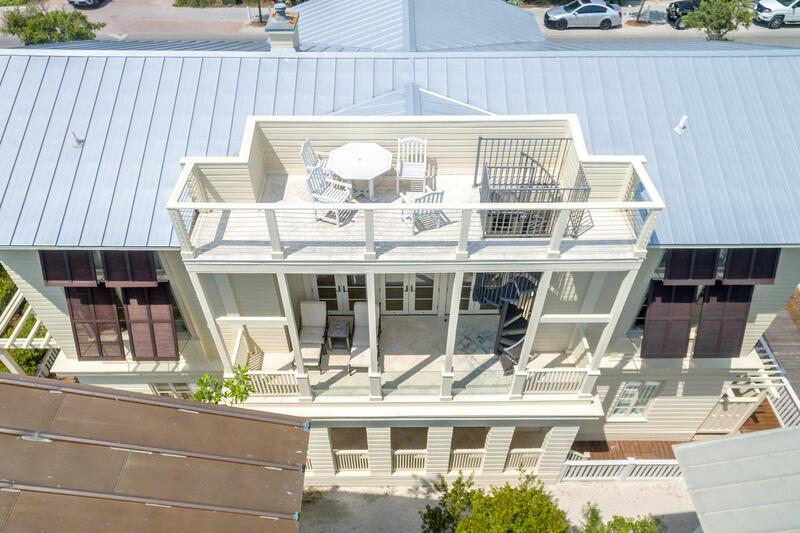 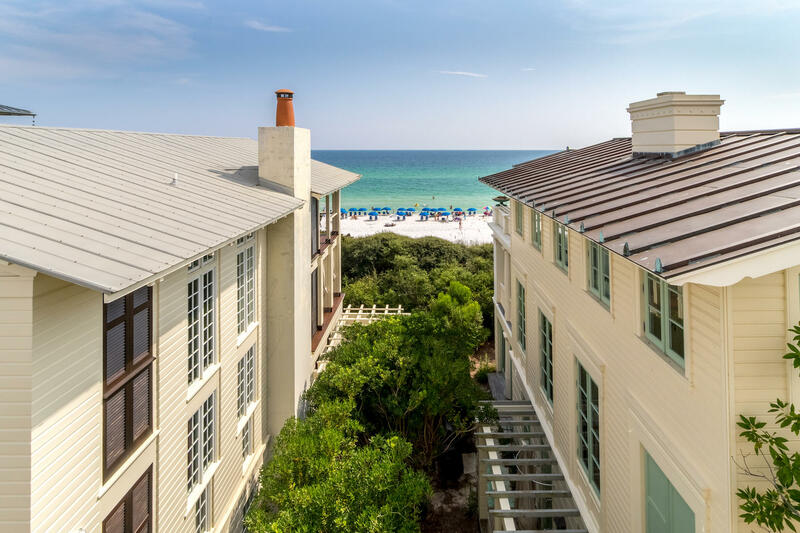 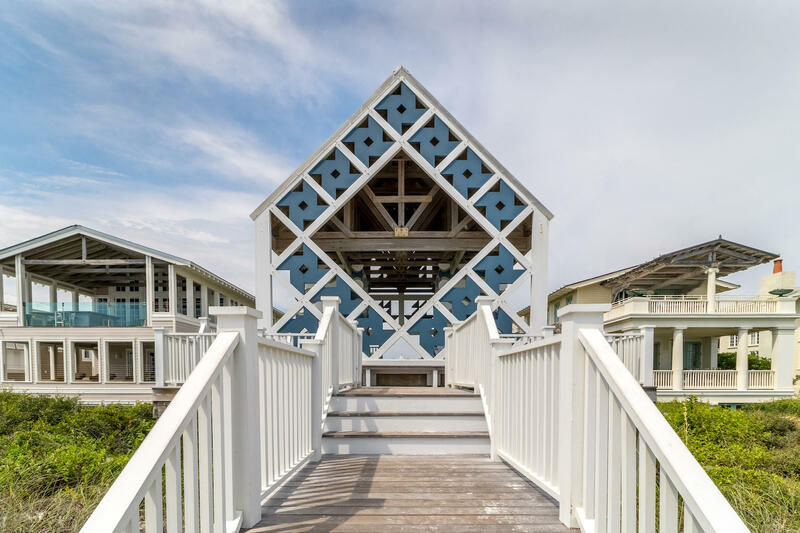 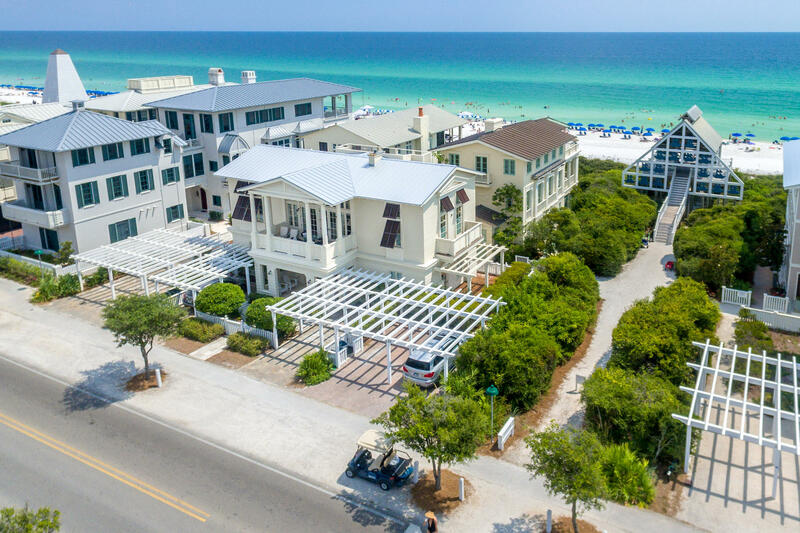 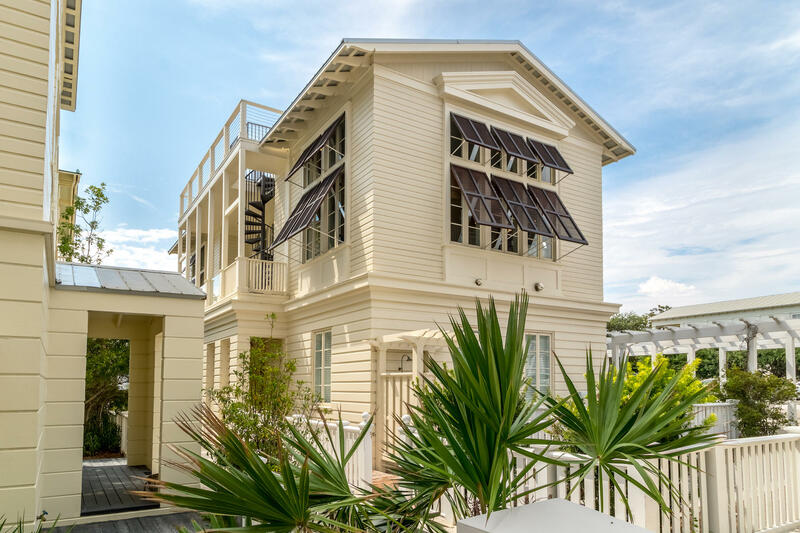 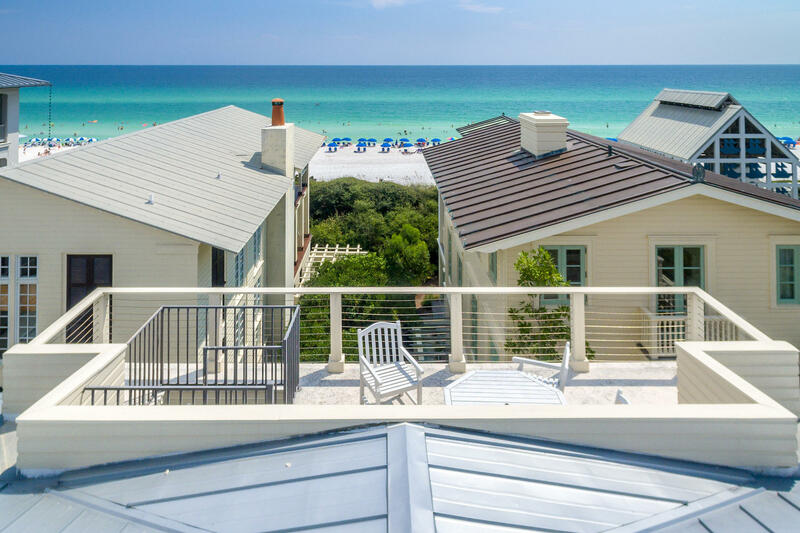 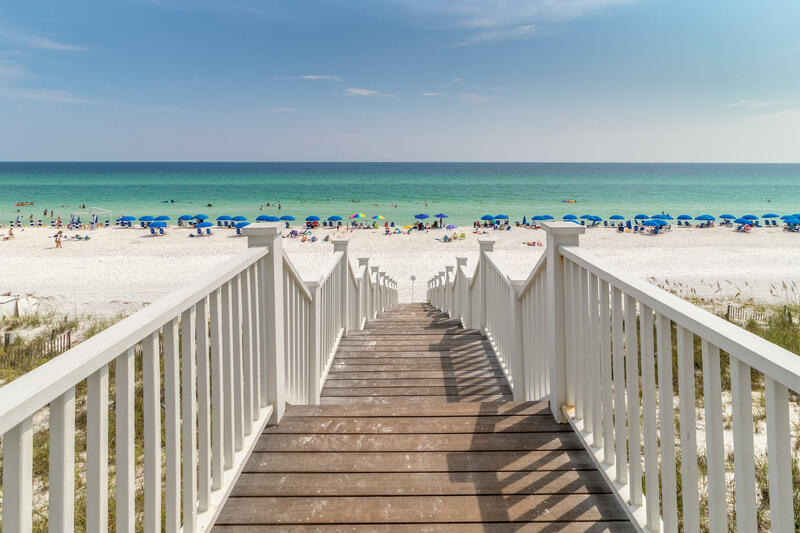 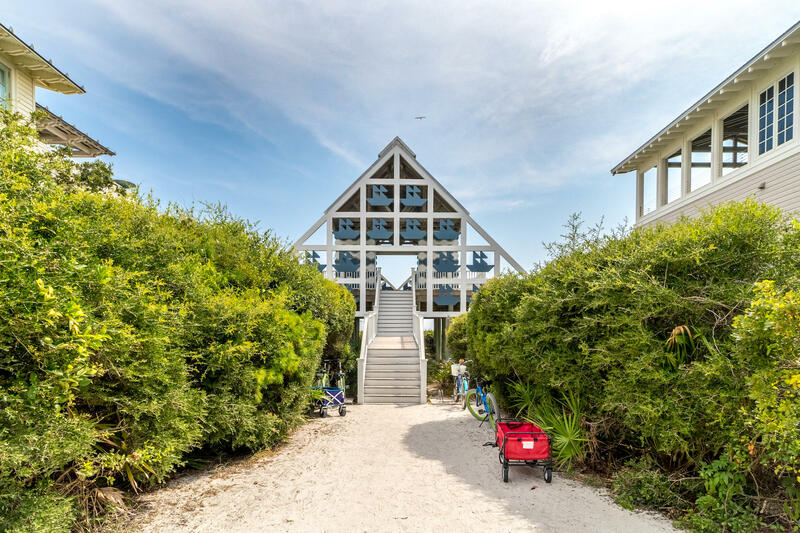 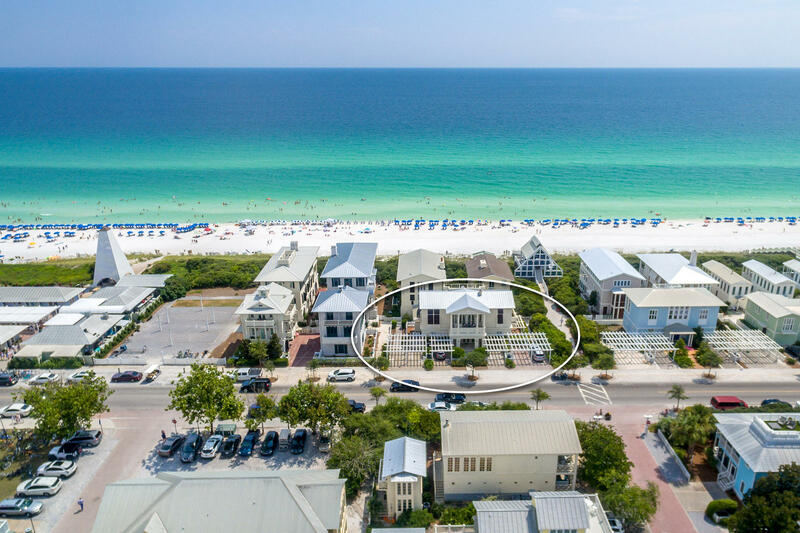 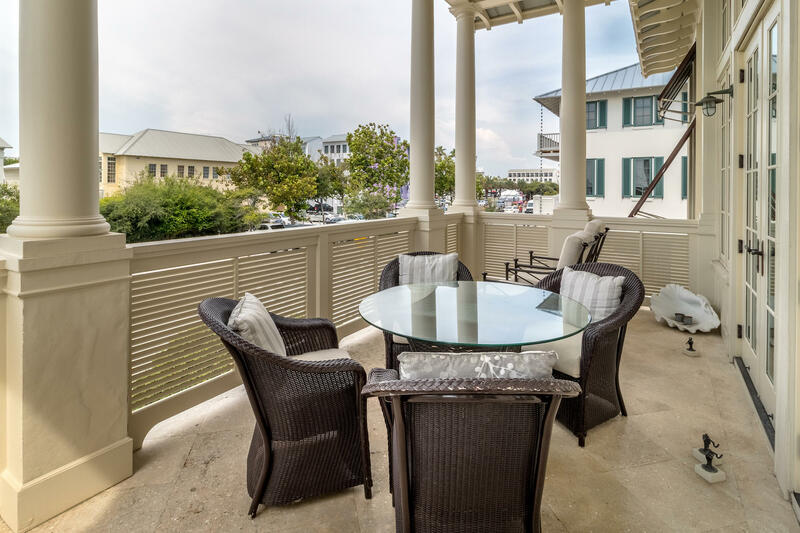 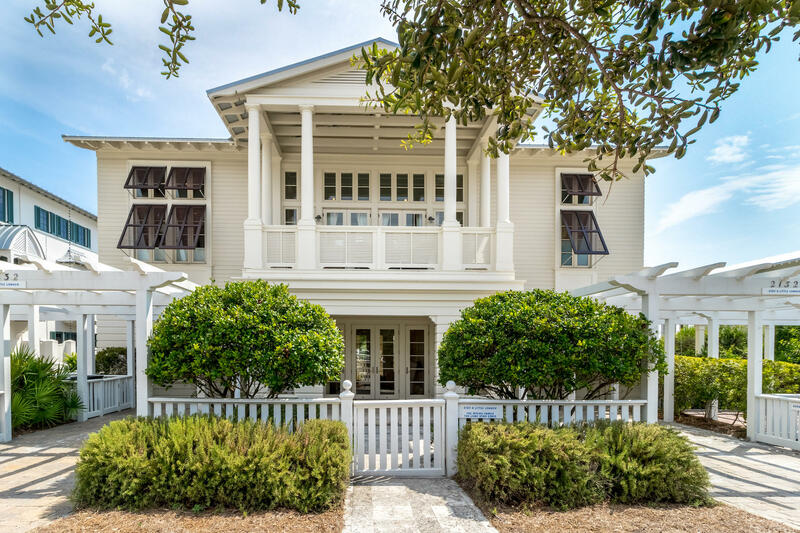 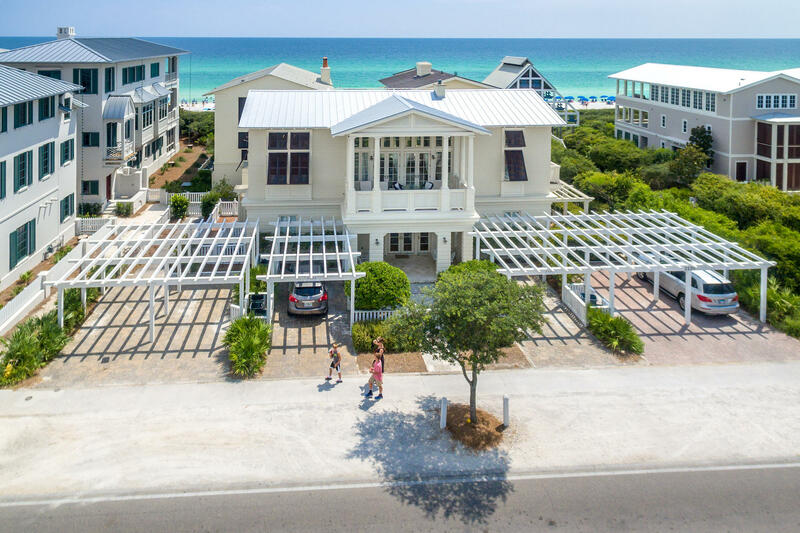 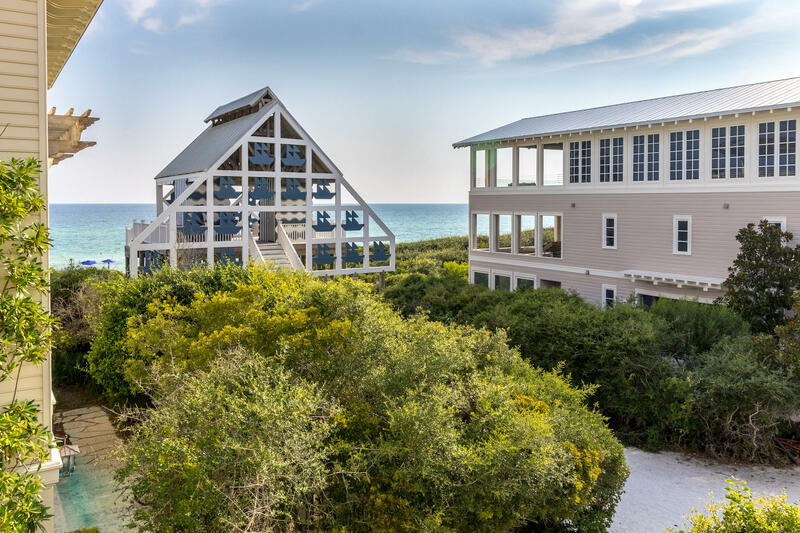 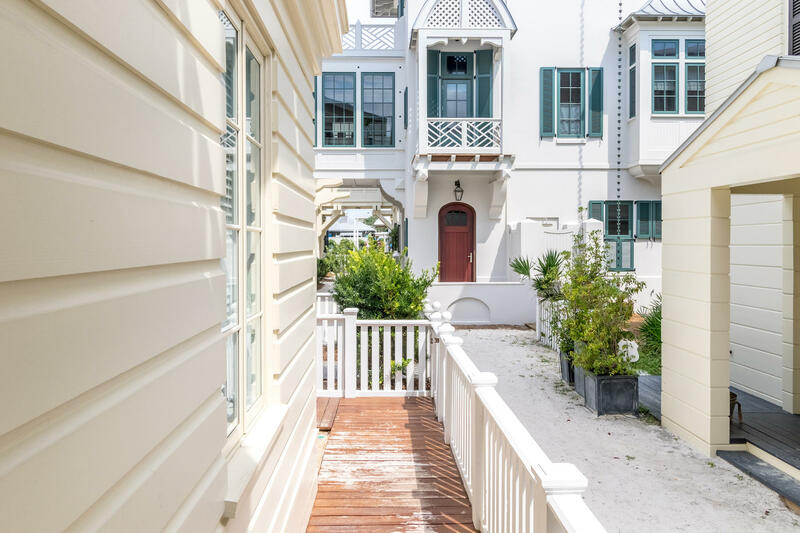 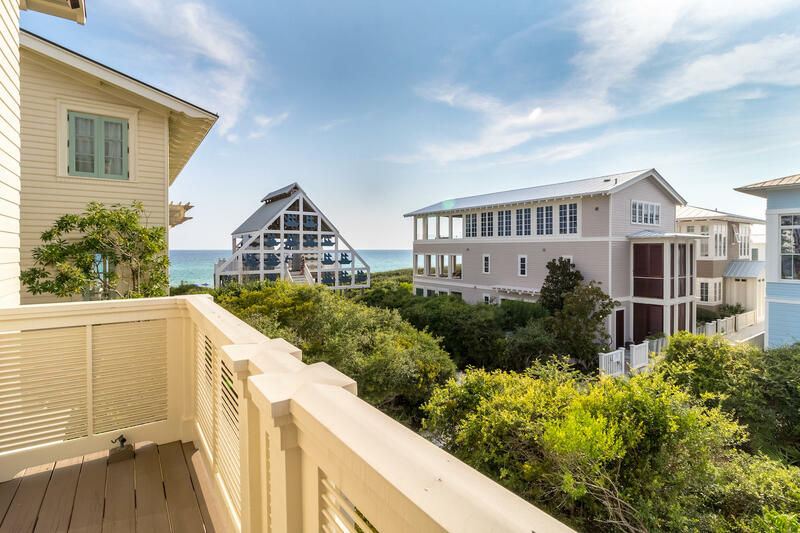 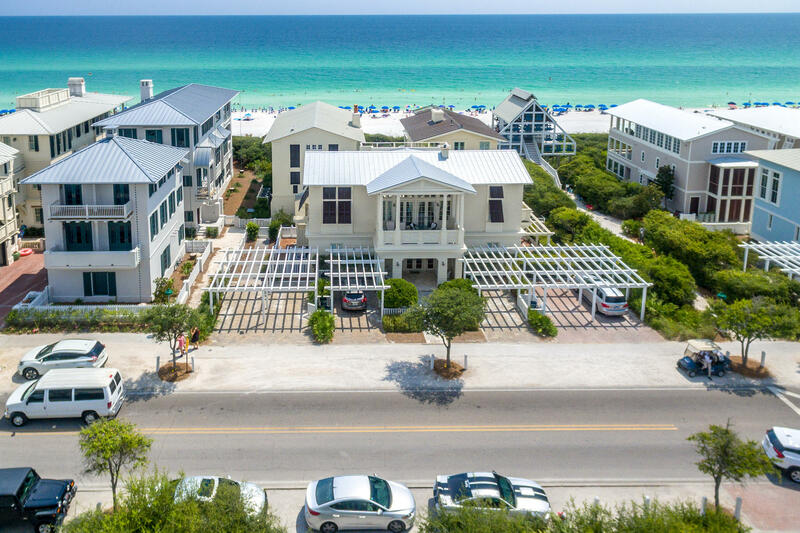 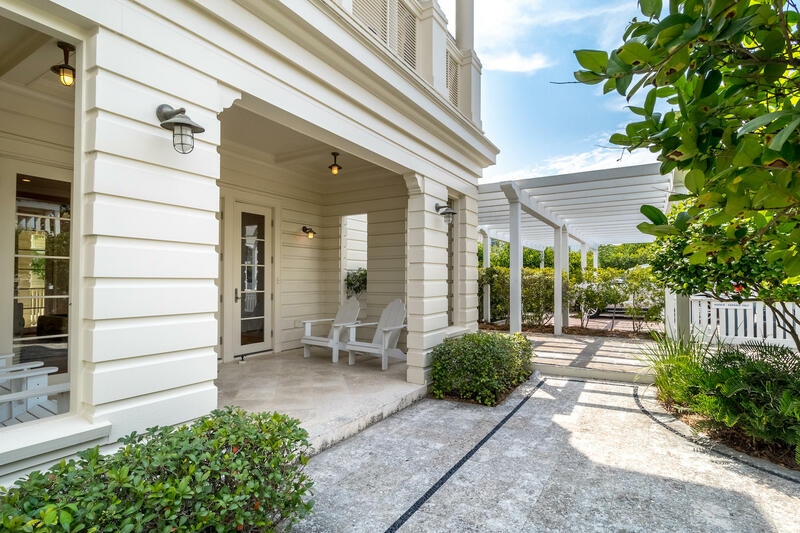 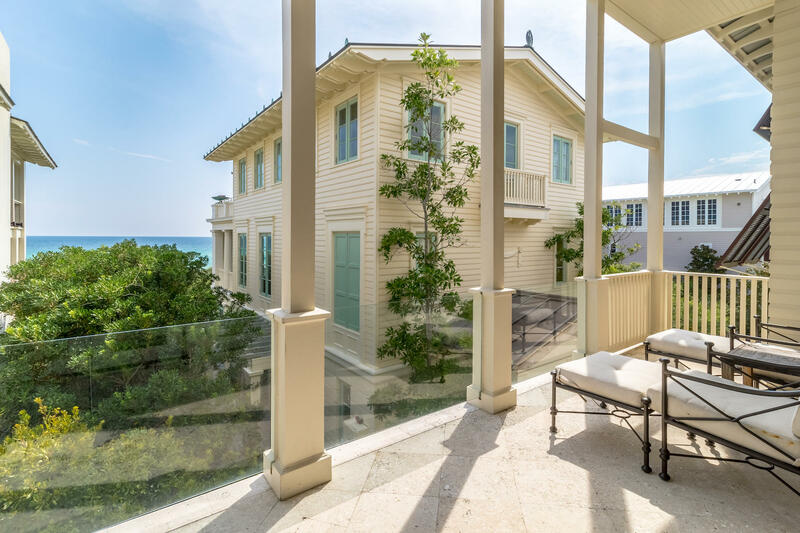 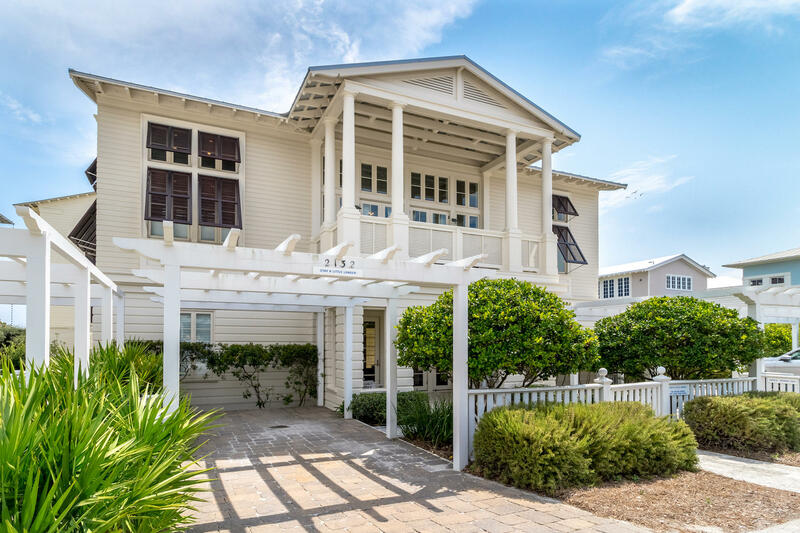 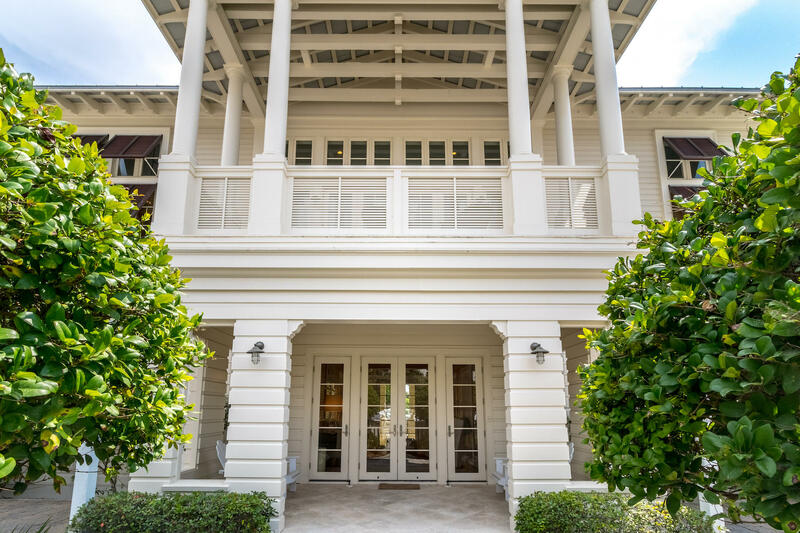 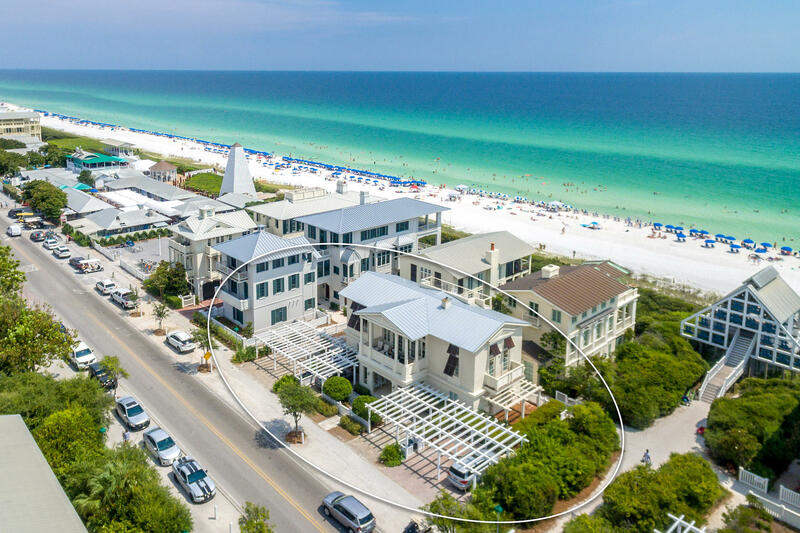 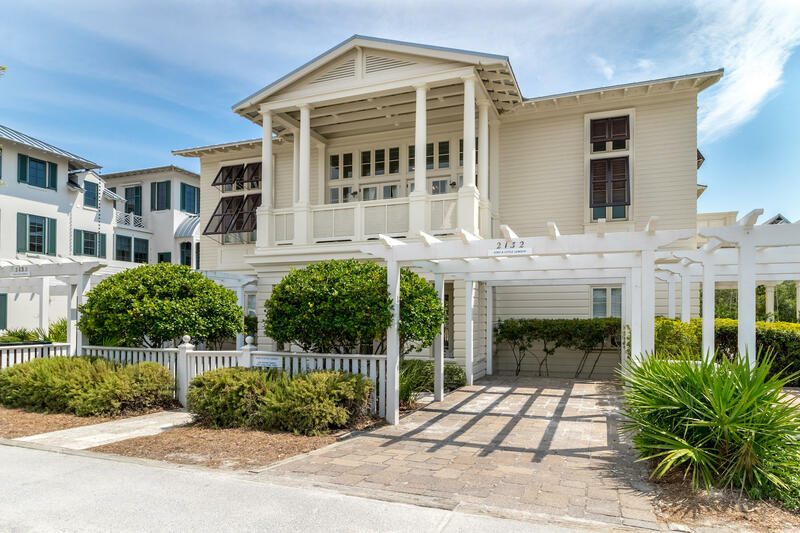 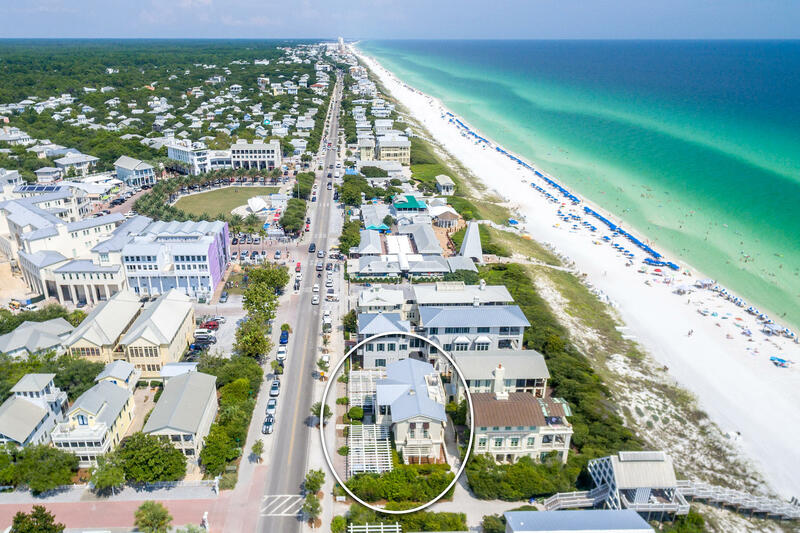 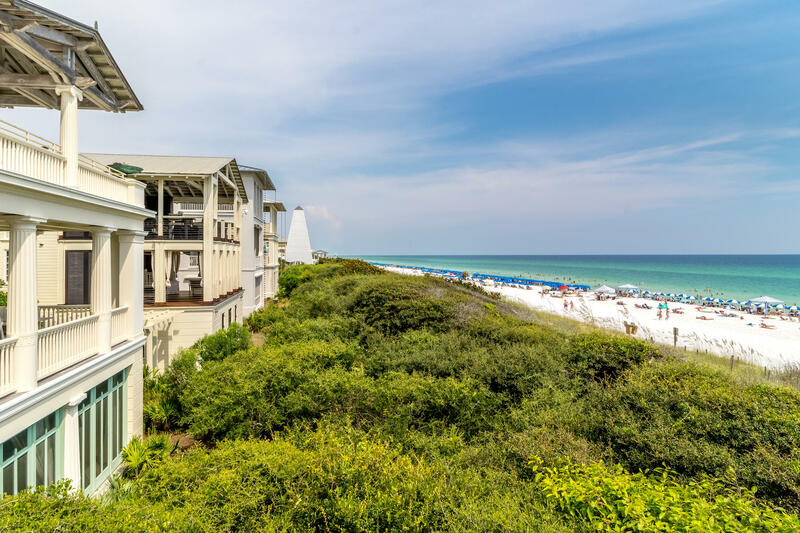 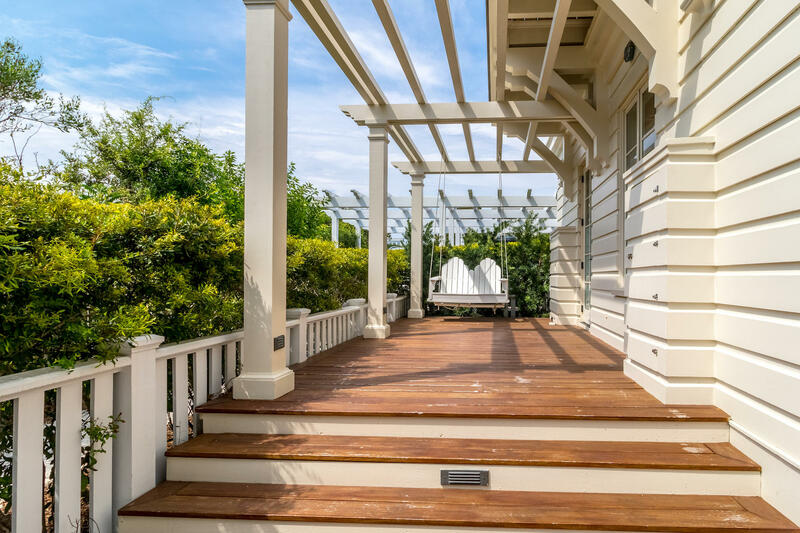 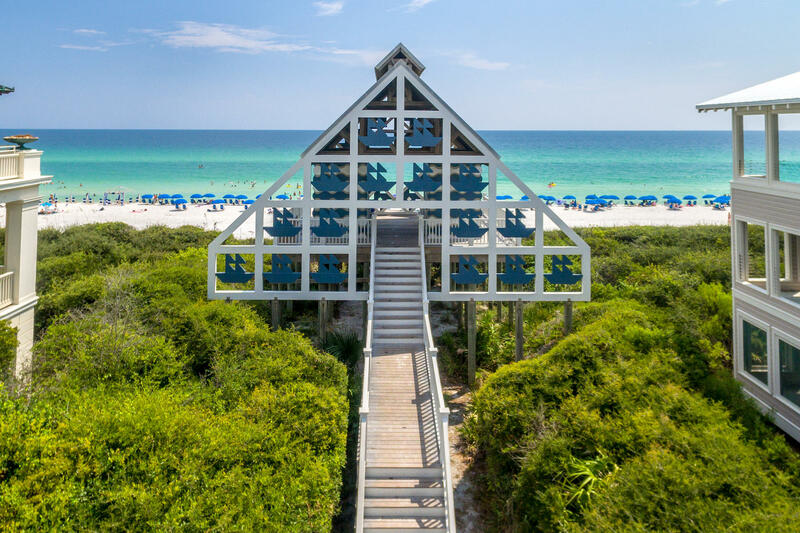 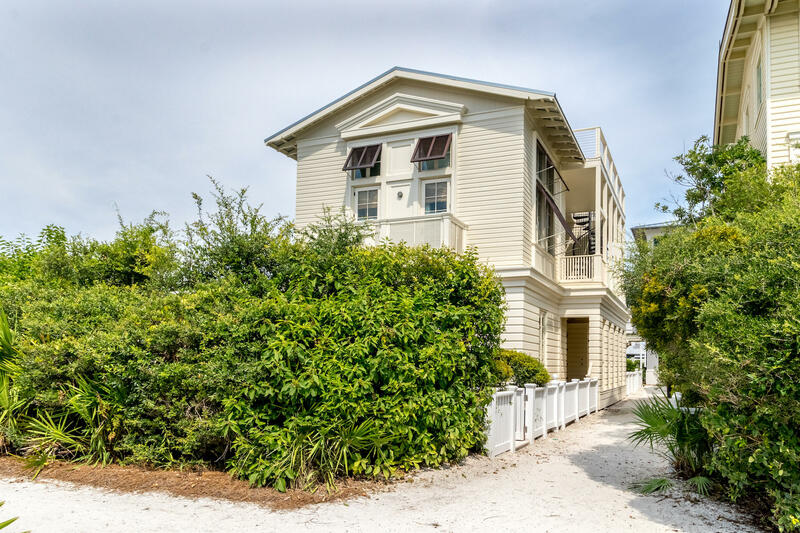 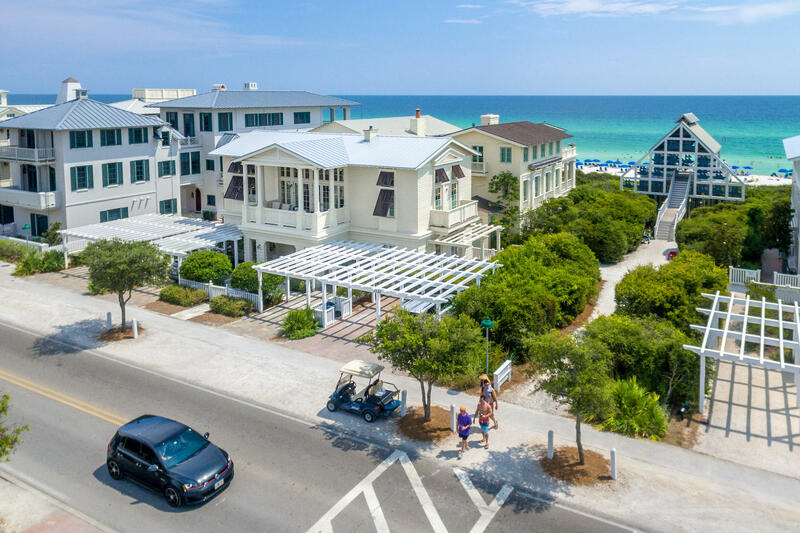 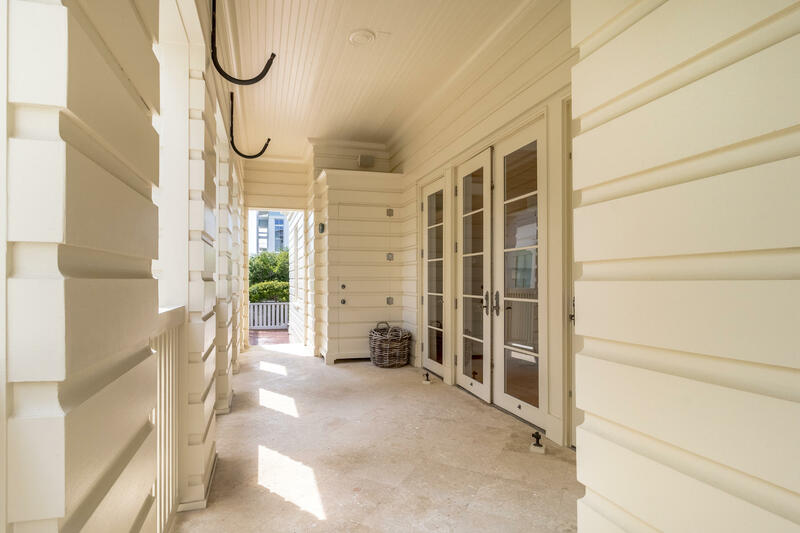 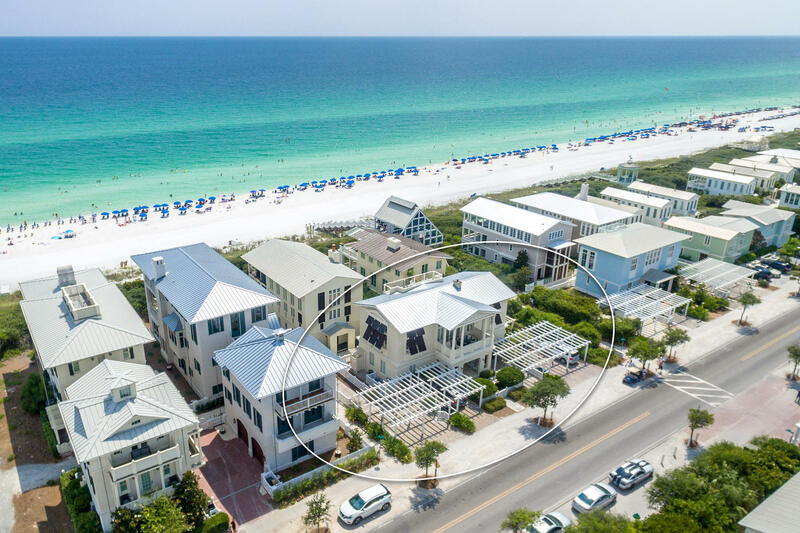 A second-floor porch, accesses the home's Gulf side rooftop deck and crowns this beach side getaway. 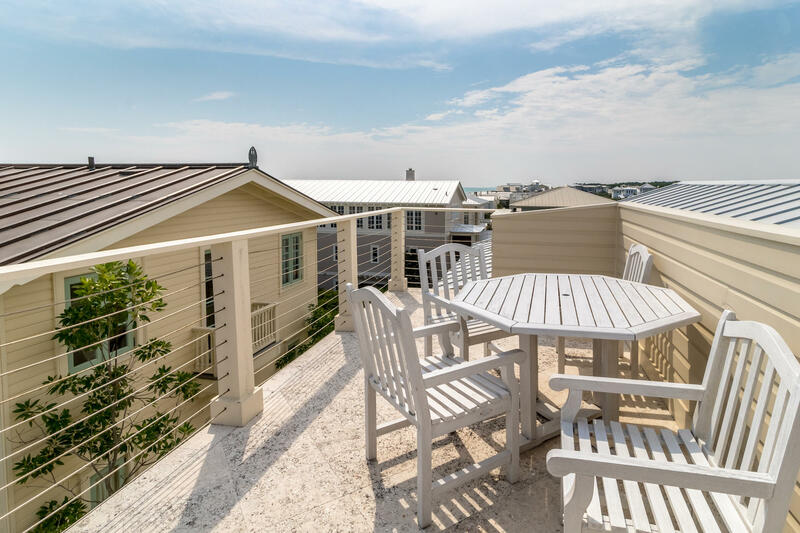 Enjoy afternoon refreshments and an unparalleled sunset, reach up and touch the stars, or start the day with an astounding sunrise from this private spot. 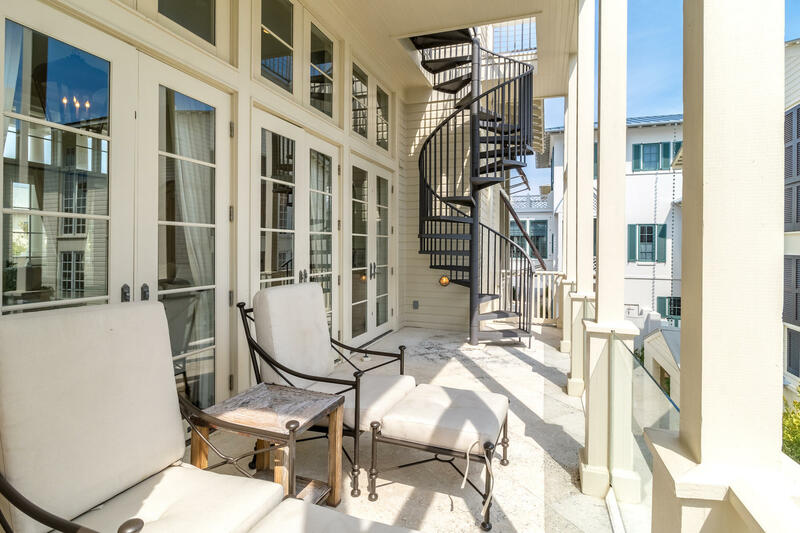 Back inside, the home's windows on the north watch over the town from yet another spacious porch. 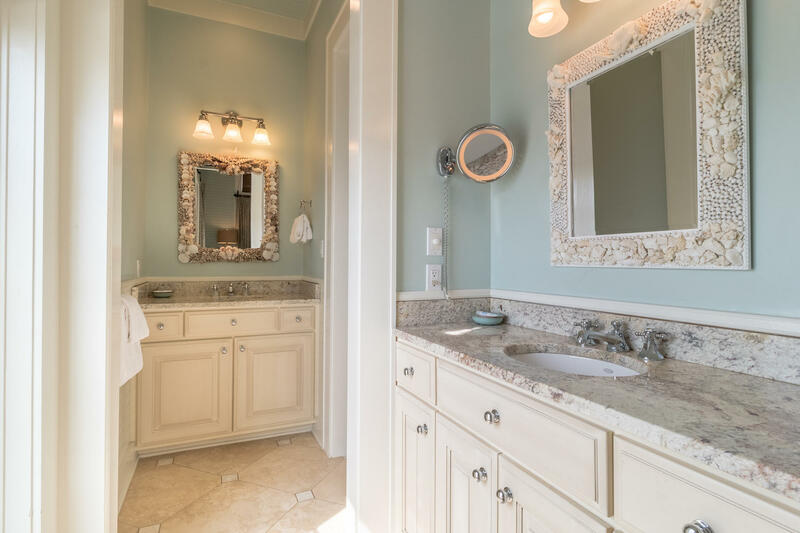 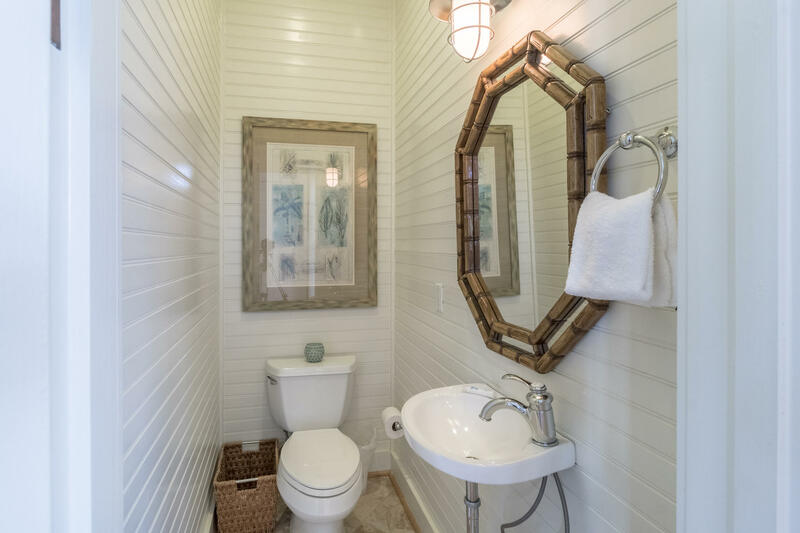 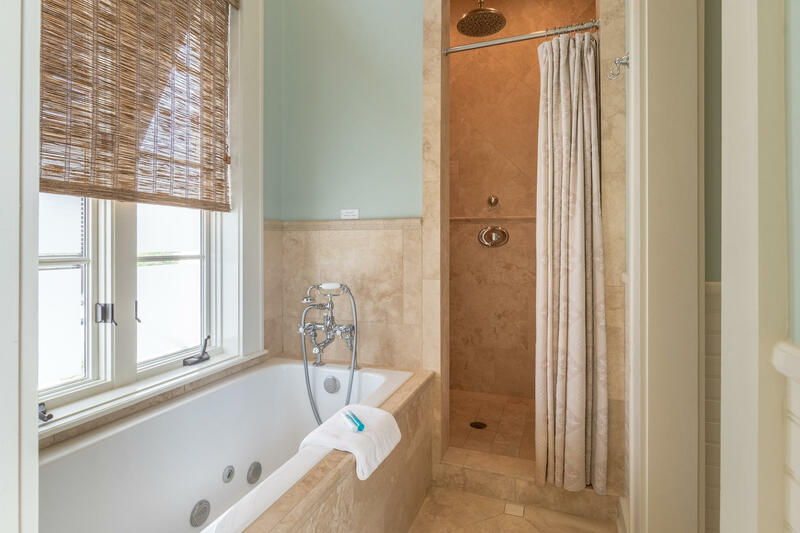 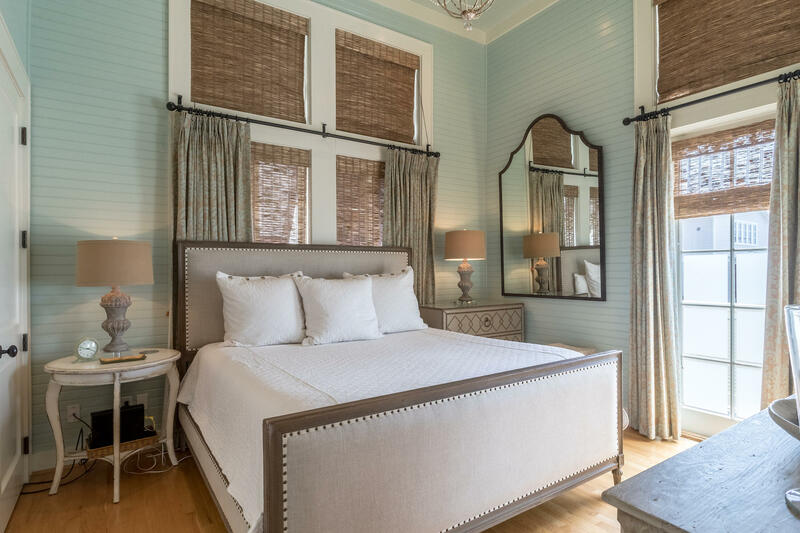 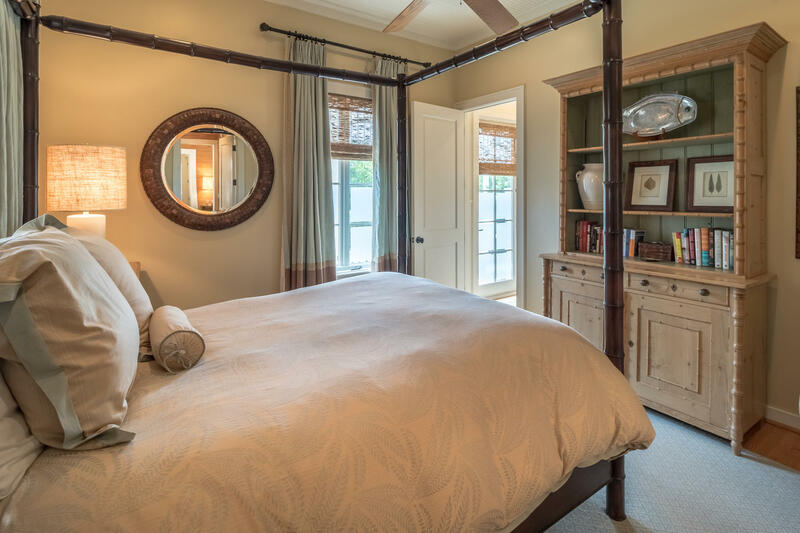 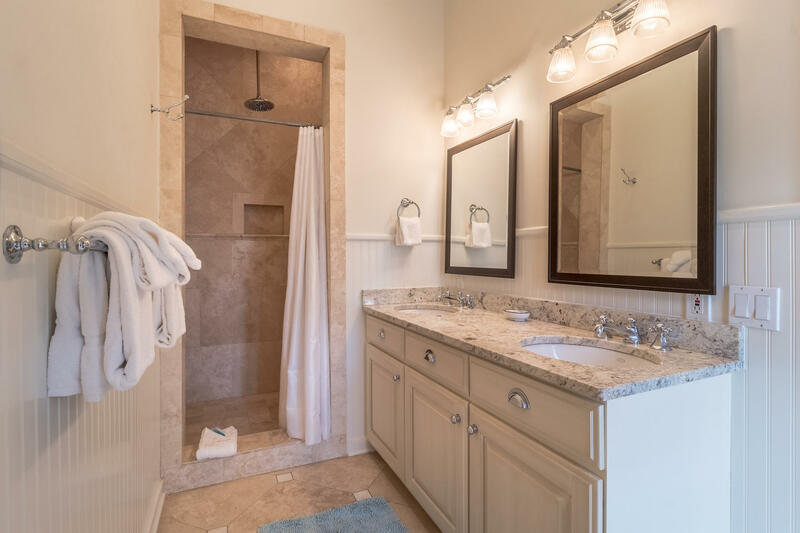 The master bedroom and bath with two vanities, separate shower and whirlpool tub finish the second floor with a sense of privacy. 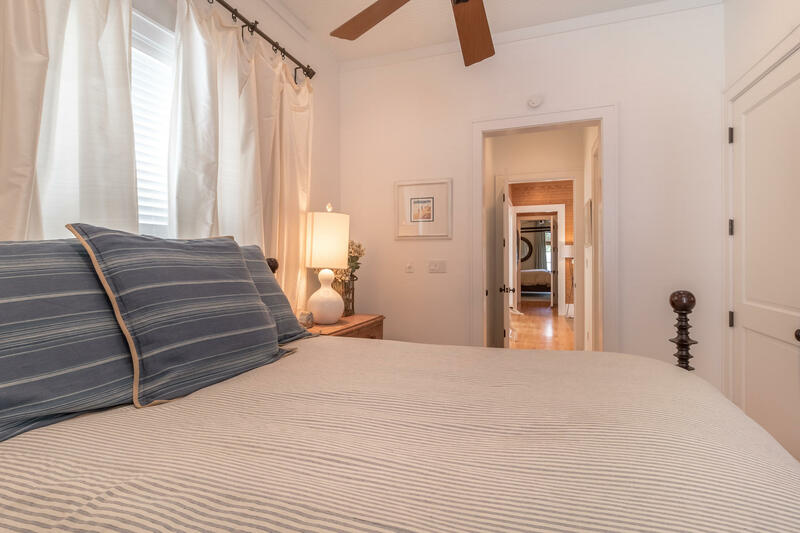 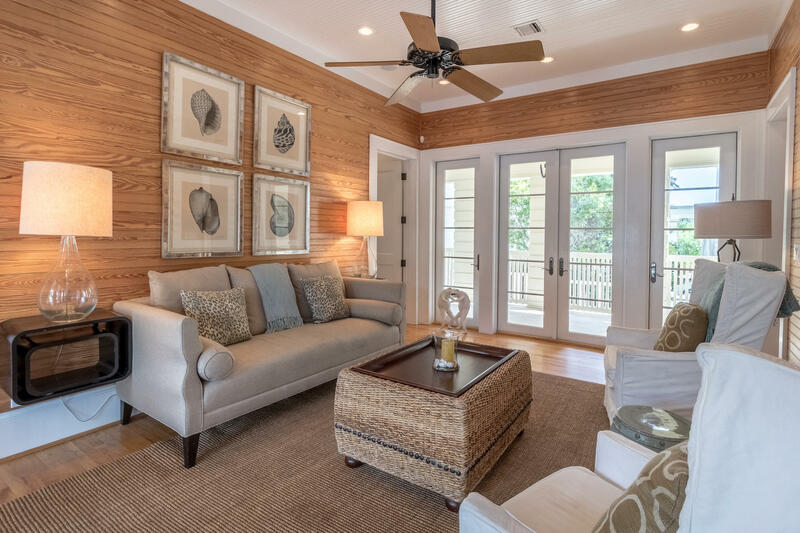 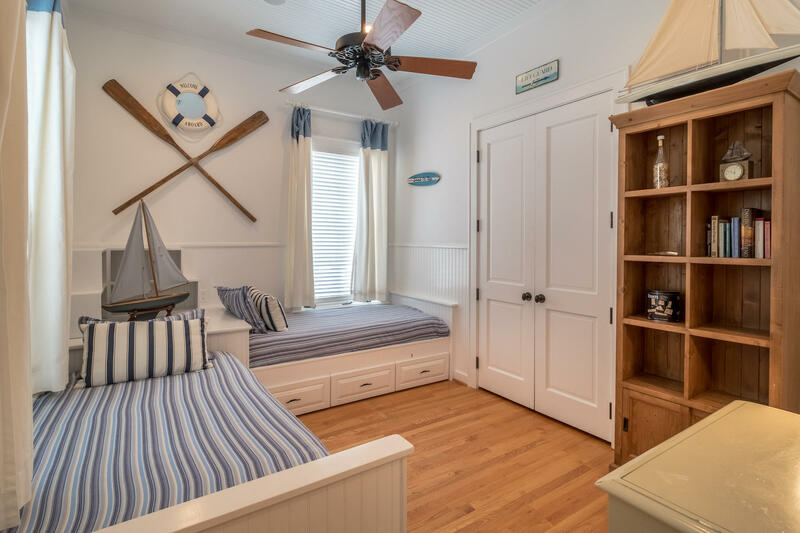 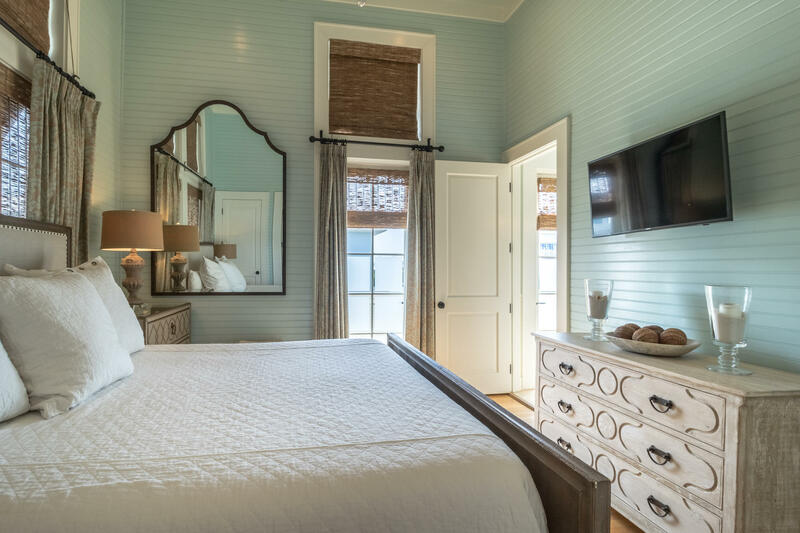 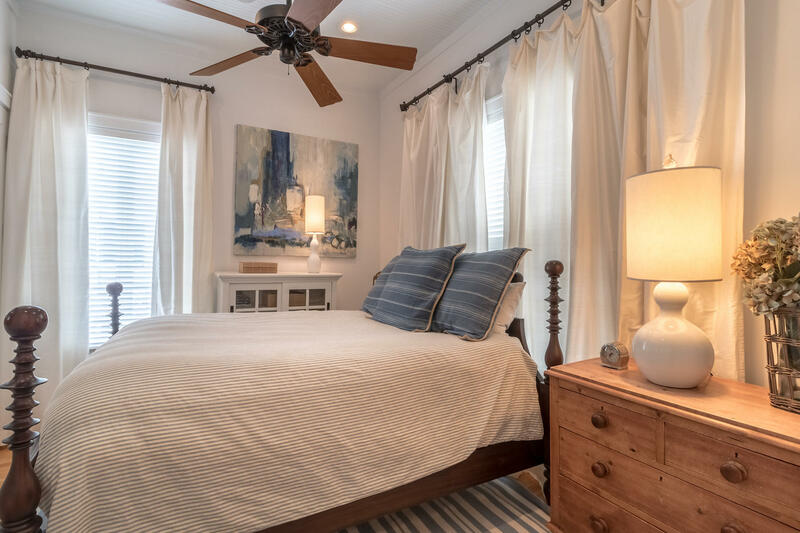 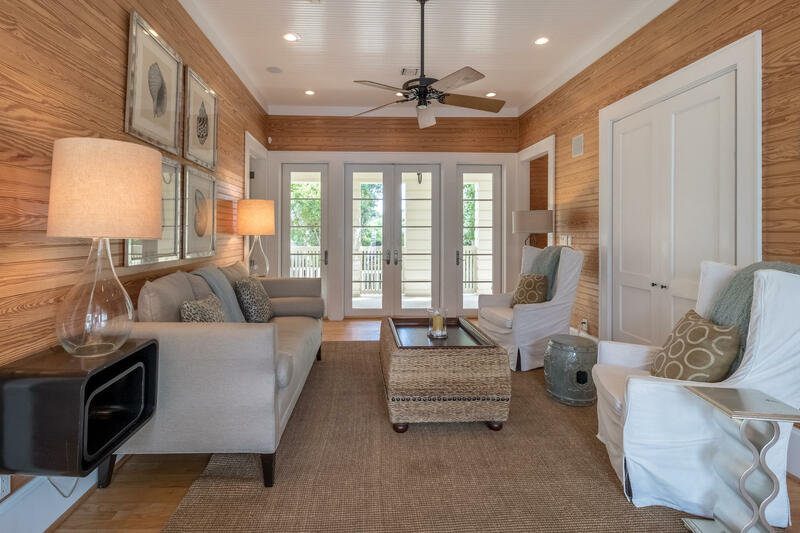 Stay A Little Longer is filled with extra touches; an all-wood interior, separate heating and cooling units on each floor, a 120-gallon water heater, recessed lighting, a security system, and a full-home audio speaker system. 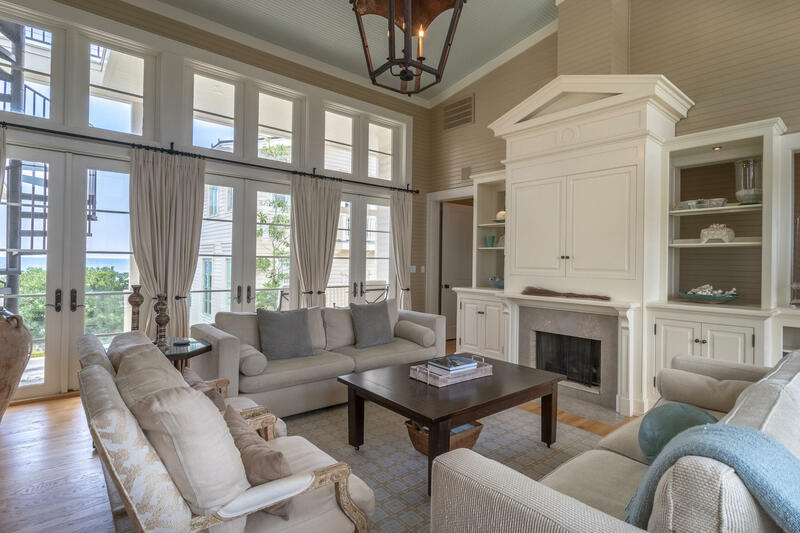 The home's elegant interior design laced with contemporary themes complements the panache of Stay A Little Longer. 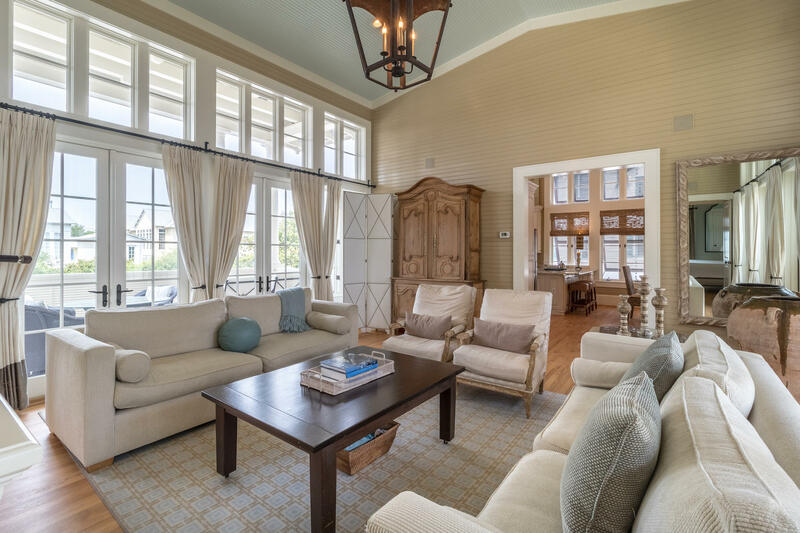 The beautiful furnishings were selected for comfort and to enhance the interior design. 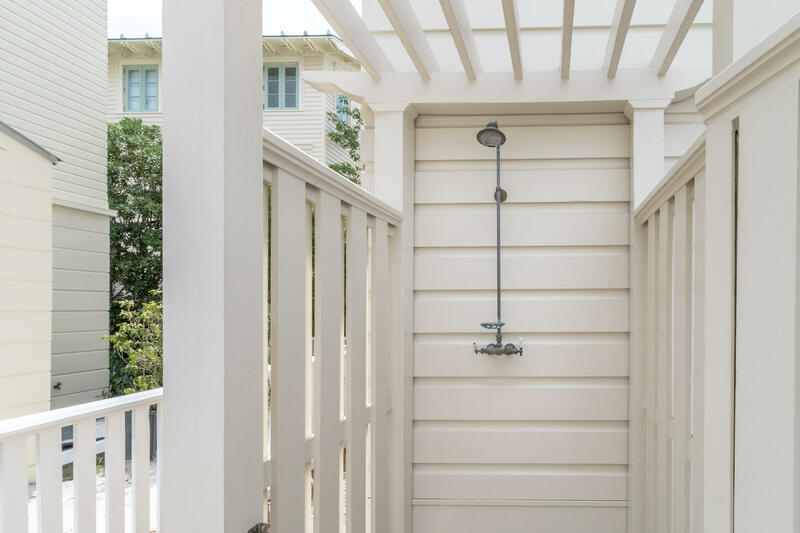 Outside, find plenty of storage space for beach gear and an outdoor shower for rinsing off after a visit to the beach. 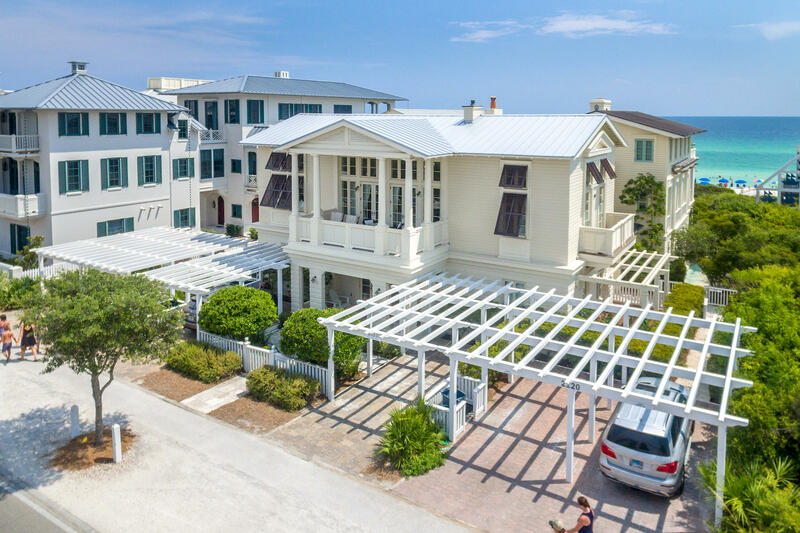 Drive up to Stay A Little Longer and park beneath one of two matching private parking pergolas. 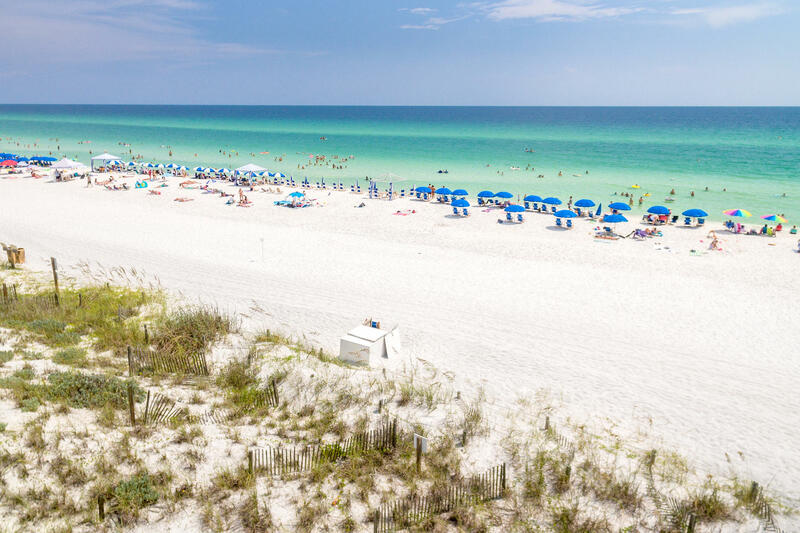 Leave the gear in the car and head straight to the beach. 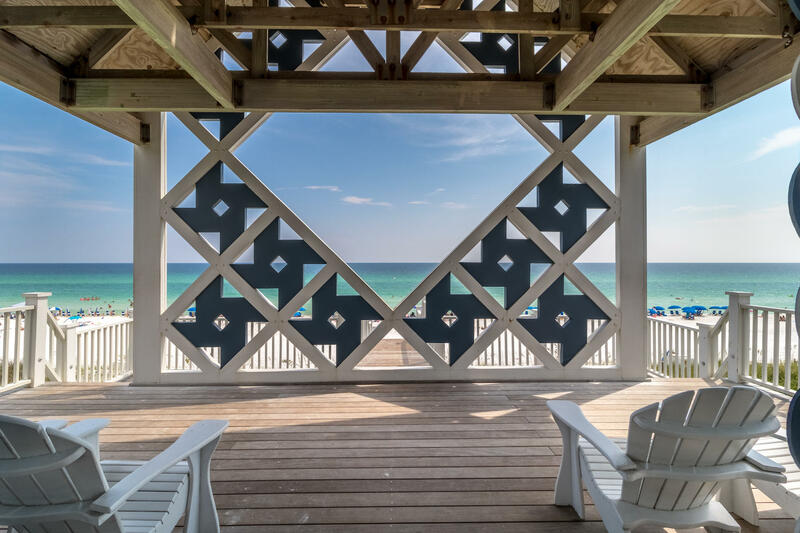 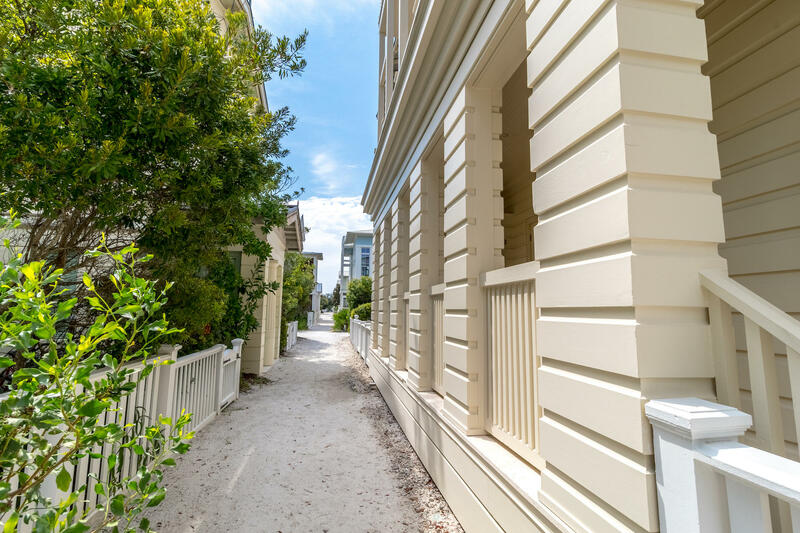 The West Ruskin Beach Pavilion walkover is just a few steps west of the home. 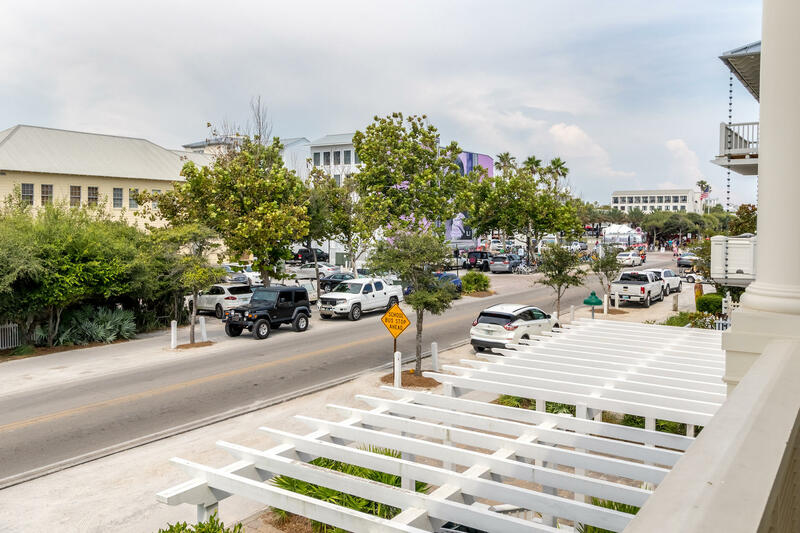 If Seaside's Town Center is your preference, simply stroll a few steps and catch a movie or concert and a bite to eat. 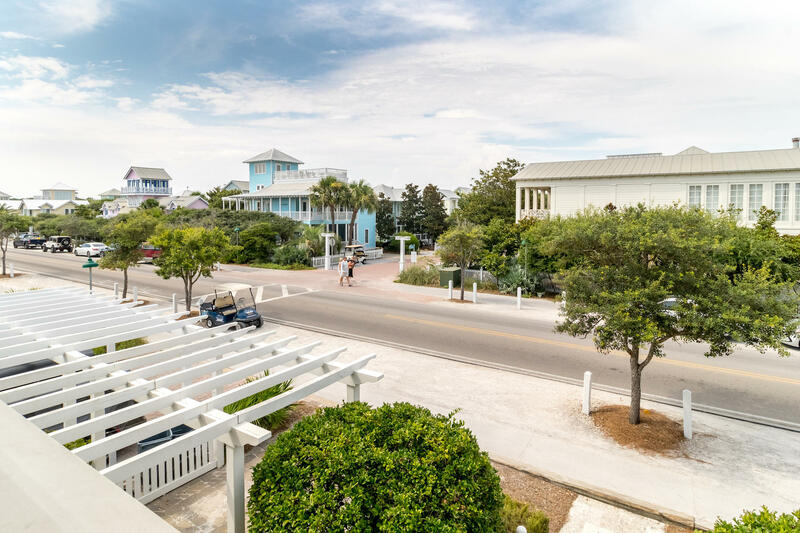 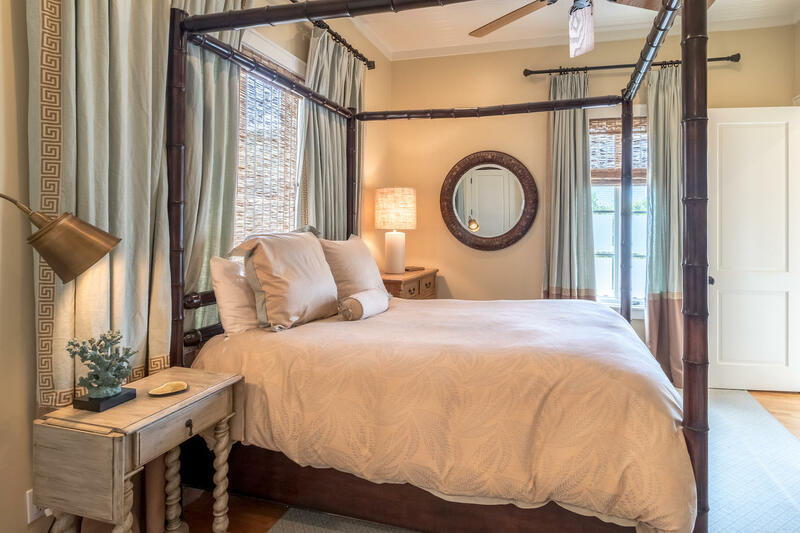 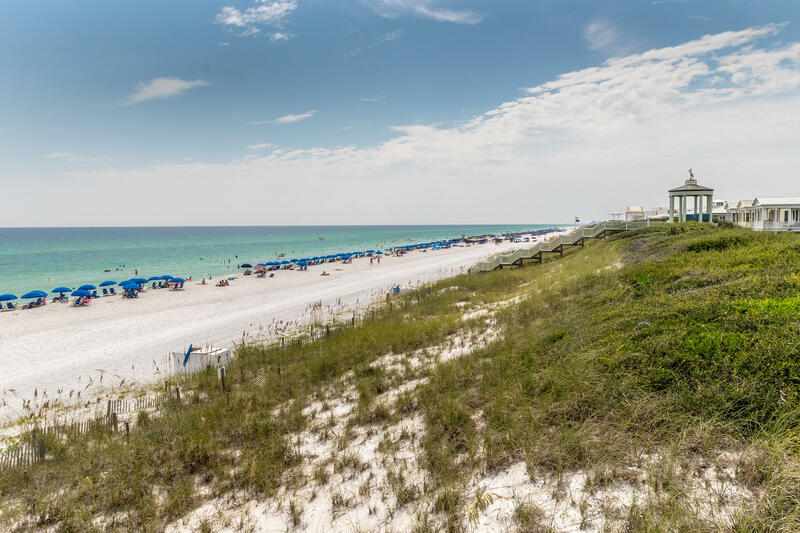 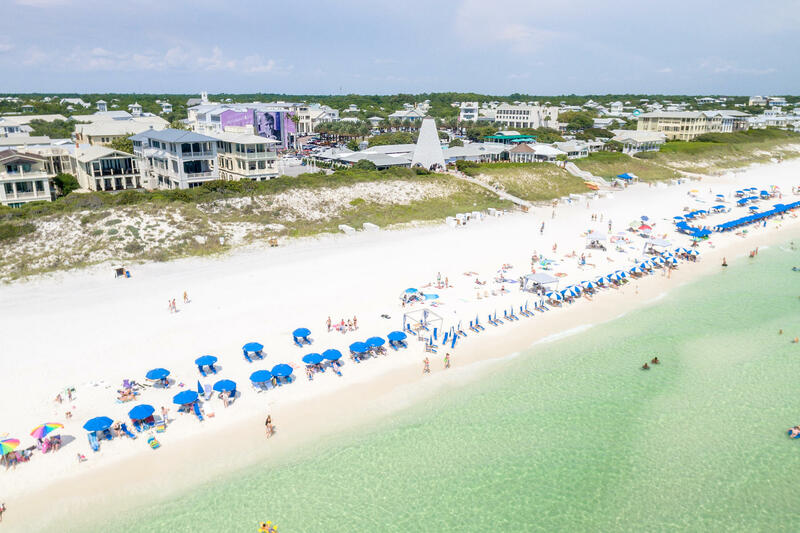 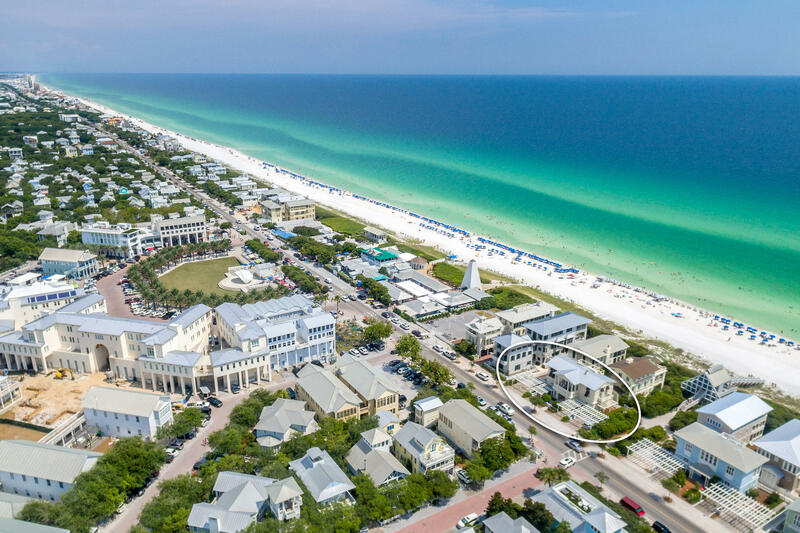 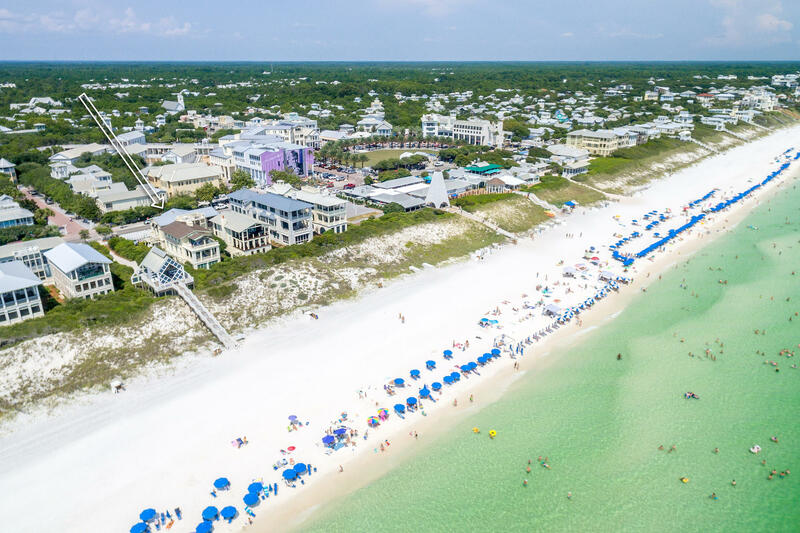 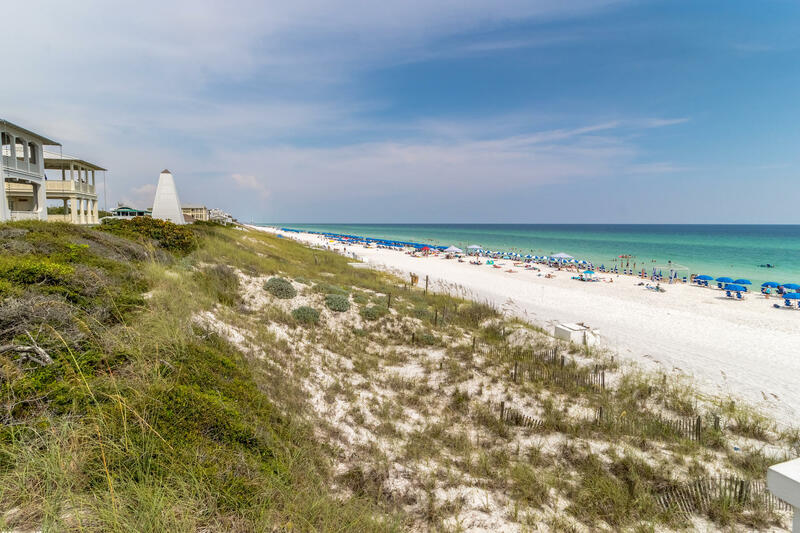 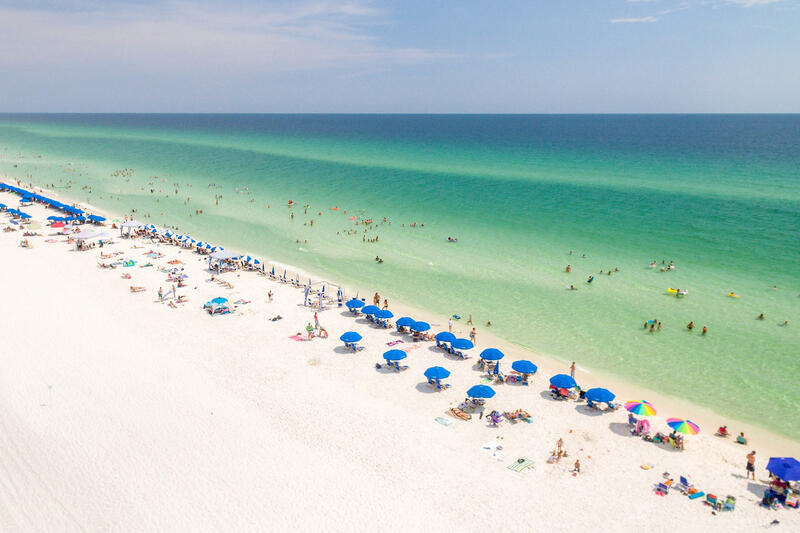 Stay A Little Longer is ideally located very close to Seaside's favorite gathering spots, restaurants and shops.